TNW’s Windows 8 cheat sheet: What, when, where, how much, and should you? The launch of a new version of Windows is always a critical moment for Microsoft; the operating and its market dominance forms the first layer of its business foundation. The release of Windows 8, however, is special. There hasn’t been a release this large for Microsoft since Windows 95. Here at TNW we’ve been banging on about Windows 8 for so long that the idea of subjecting you to several thousand more words on its granular function is just off-putting. Instead, we trust that over the last year you have managed to secure a good grasp of the operating system, and hopefully some hands on time with it. That said, if you missed our review of Microsoft’s Surface RT tablet, you should catch up. The purpose of this post is to present you with a quick list of everything Windows 8 that you could possibly need in the next 24 hours. Whether you are a fan of Windows 8, the user of a rival operating system, or just a happy bystander, this post is for you. At midnight, Microsoft is releasing Windows 8 to the public, marking its moment of ‘general availability.’ Also out tonight at midnight is the Surface RT tablet, which has been up for pre-order since last week. The initial supply sold out, and pre-orders are now delayed by several weeks. Still, there is a good chance if you head out tonight to your local store – more on that shortly – you will be able to get your hands on a unit. If they are out, don’t come whining to me. 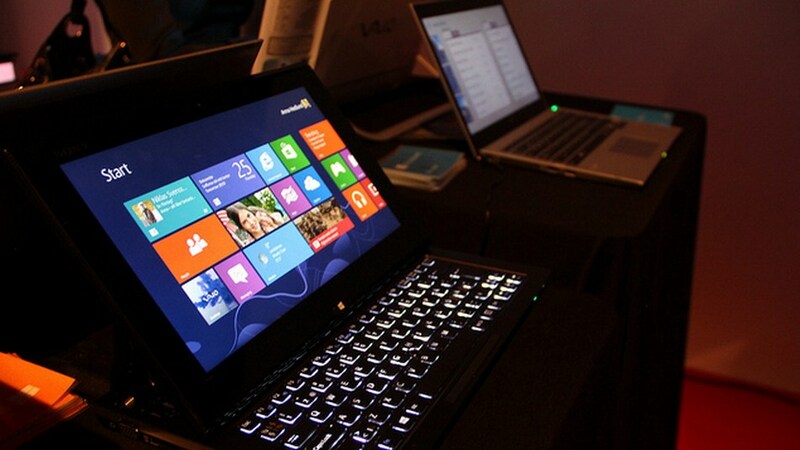 Naturally, as the Surface device will be in the market, so too will be the Windows RT variant of Windows 8. Just don’t expect to see it on a shelf, ever. Shipping with the Surface tablet is a nearly complete build of Office 2013 for ARM devices. It’s almost complete. Again, you won’t find it for sale. Midnight Thursday night, start o’ the day of Friday. You can hit up a Microsoft store at the turn of the day if you so desire. There will likely be a crowd, albeit not of Apple proportion. For the lazy, everything you want can be found online. The Surface is up for grabs at Microsoft.com, and Windows 8 is cheap as a punchline on Amazon. If you are really hopped up for Surface, head to Times Square for a shindig. TNW is attempting to convince our own Harrison Weber to attend. We may succeed. Please click for a higher resolution version of the image. The full list over at Microsoft’s website can be found here. The stores that are marked as ‘Coming Soon’ are the holiday stores that Microsoft is opening to help it move product, and train folks on Windows 8. People who buy a Windows device will have the ability to receive in-store training and setup help. They will need it. $499 – Basic Surface unit with 32 gigabytes of storage, and no Touch Cover. $599 – Basic Surface unit with 32 gigabytes of storage, and a Touch Cover. $699 – High capacity Surface unit with 64 gigabytes of storage and a Touch Cover. Various Surface dongles: $40 apiece. Windows 8: Currently on sale at Amazon for $68.88. The look on your friends’ faces as you flaunt your new Surface with pink Touch Cover? Valuable. That’s our take. Now go forth and do as you will.